Live at Park West on Friday, February 15th! Jeff Goldblum and The Mildred Snitzer Orchestra will perform in Chicago on Friday, February 15th at 7:30pm at Park West, 322 W. Armitage Avenue. Tickets go on sale this Friday, January 18th at 10:00am through parkwestchicago.com. Tickets are $65.00 or $80.00 for gold circle. With film credits including "Jurassic Park," "Independence Day," "The Fly," "The Big Chill," "The Grand Budapest Hotel," and “Thor: Ragnarok," theatre performances including "The Pillowman," "Speed the Plow" and "Domesticated," and television appearances including “Portlandia” “Inside Amy Schumer” and “Will & Grace,” Jeff Goldblum also plays jazz with his band, The Mildred Snitzer Orchestra. Whether performing regularly in Los Angeles at Los Feliz's Rockwell Table and Stage, or elsewhere, Goldblum will take your questions, ask you trivia questions, and play classic jazz. The evening typically features Goldblum on piano, John Storie on guitar, James King on tenor saxophone, Alex Frank on bass, Joe Bagg on organ and Kenny Elliott on drums, along with special guests. 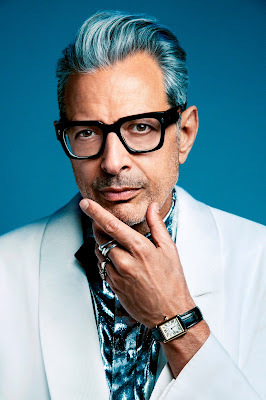 Recently Goldblum signed with Decca Records and recorded his first full length record, entitled “Jeff Goldblum and the Mildred Snitzer Orchestra, The Capitol Studios Sessions”. The record was released on November 9th 2018.